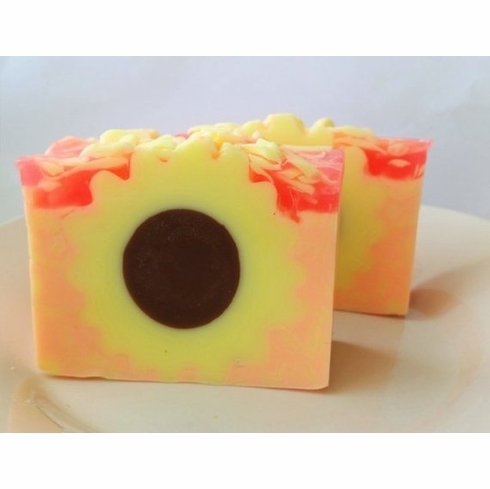 This goat milk soap is scented with one of The Little Soap Store's signature scents. This listing is for one soap that comes beautifully packaged and is ready to be given away as a gift. Weighs approximately 5.5 ounces and is made with sunflower oil, goat milk, and mango butter. Try our matching Sunflower Pomegranate shea butter!